Tairoa Lodge has Christmas 2016 covered. Whether you want to have a fabulous night dancing the night away with friends or work colleagues at ‘The Magic of Christmas night’, indulge in our annual ‘Jazz & A Long Lunch’, arrange the perfect ‘Simply Devine’ corporate gift for clients or, plan your own private Christmas party. 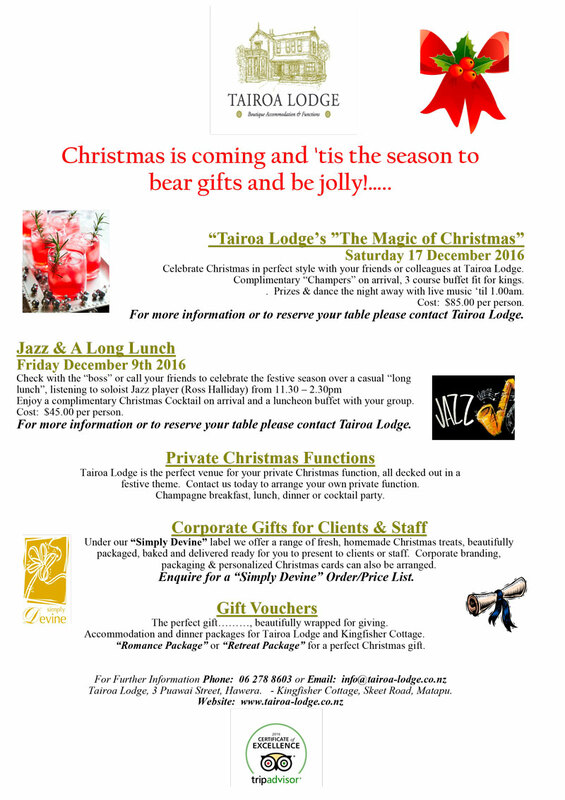 Tairoa Lodge is the perfect venue for you. Let us do the planning and arrange a private end-of-year function just the way you like it! 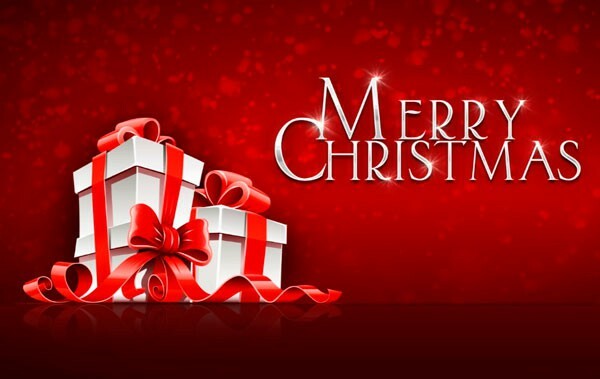 Contact us today to arrange your Christmas function or celebrate the festive season!